Keep your iPad safely tucked away in this simple, yet smart envelope sleeve. 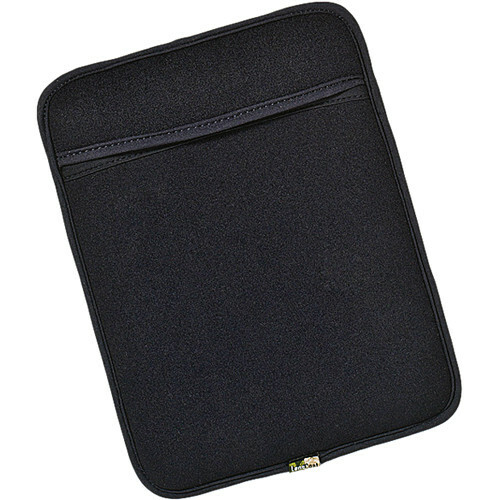 The black LensCoat Neoprene Sleeve for iPad and iPad 2 protects your investment from daily wear and tear, in addition to giving it a low profile. Form-fitting and water-resistant, the sleeve not only protects your iPad or iPad 2 from quick changes in the weather, it also fits easily in your bag. LensCoat makes all their products in the USA, so you can be sure that you're getting a high-quality product worthy of your favorite new device. Box Dimensions (LxWxH) 14.0 x 8.5 x 0.3"